“Have you found yourself daydreaming of a tropical vacation? Basking under the warm sun, strolling along sugary white-sand beaches, and swimming in crystal-clear water? “Make your dreams a reality by booking an amazing Caribbean island getaway. Below, we’ve rounded up 25 of the best Caribbean vacation spots—islands only!—ranging from peaceful hidden gems to bustling port cities rich in history. 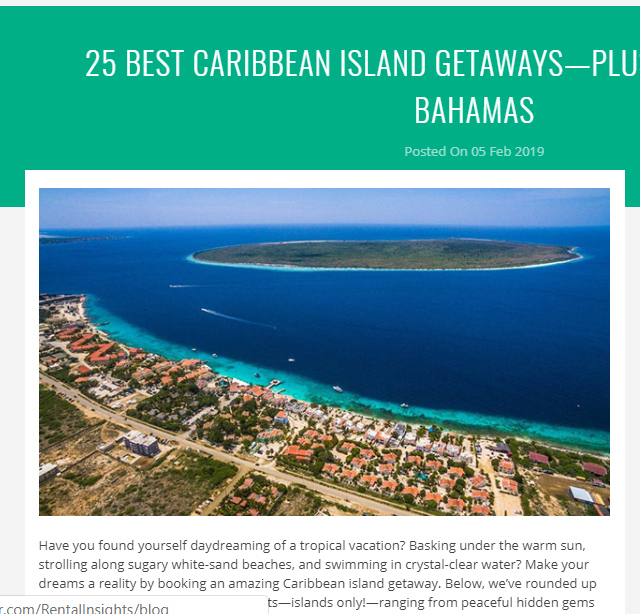 “Whether your idea of the perfect Caribbean trip involves lazing in the sand, snorkeling colorful reefs, or coasting on a zipline in a lush rainforest, each of these unique Caribbean island destinations are sure to make for the ultimate getaway. “For a more comfortable—and often affordable—Caribbean island experience, consider a vacation rental as your accommodation. Perfect for traveling with groups of friends or family, a rental allows you to customize your stay to your own preferences: an oceanside beach house with a private pool, perhaps? Or a cozy, remote cottage deep in the jungle? “Choose from thousands of vacation rentals on our site, and even plan out the rest of your itinerary by booking your in-destination activities, tours, and attractions on TripAdvisor, too. From the caves of Santo Domingo and the grottos of Virgin Gorda, to classics like Montego Bay and Grand Cayman—here are 25 of the best Caribbean island getaways! Disclaimer: We understand Hurricanes Irma and Maria severely impacted Puerto Rico and many Caribbean Islands. Our list includes some of these places that are bouncing back well, but did take into account—and in some instances left off—certain spots that are not ready for tourism yet. TravipAdvisor describes St. Kitts and Nevis as, “Nestled between the Caribbean Sea and the Atlantic Ocean, the dual island destination of St. Kitts & Nevis is a premier destination for Caribbean travel. “The capital city of Basseterre on St. Kitts is situated between the sea and the lush mountains, and is filled with historical significance. “See it all on a sightseeing tour, which takes you through the historical landmarks of downtown Basseterre, the tropical mountains, and the pristine beaches.